Cub Creek Recreation Area is located 3 miles west and 4.5 miles south of Plymouth, or 3.5 miles northeast of Jansen, Nebraska. Originally built in 1969, the structure itself is one of the oldest in the district. The recreation area, however, was not established until a few years later. 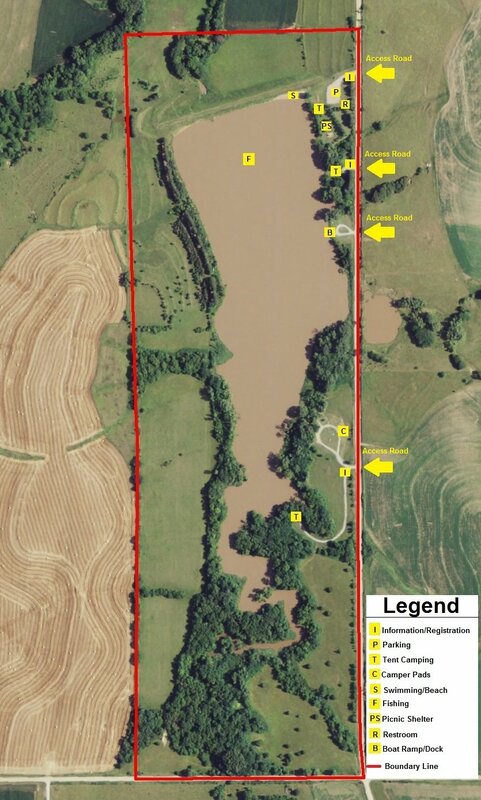 This area covers 95 acres including the 40 acre lake. 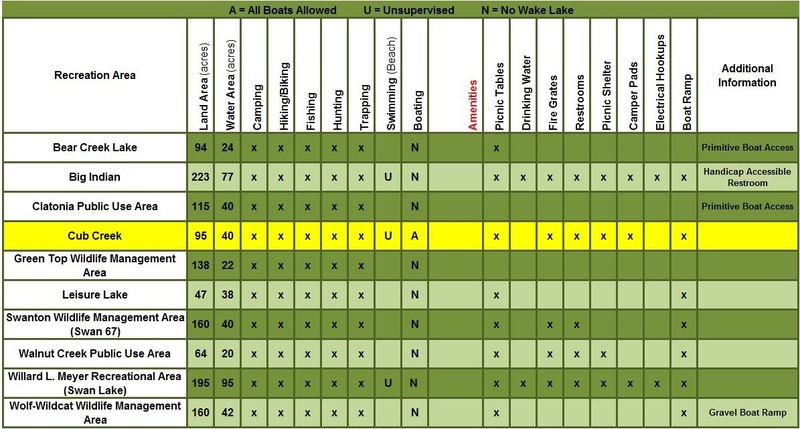 Cub Creek is currently the only recreation area where there is not a wake limit on boats, so this allows for many different types of boating activities.